**NO ADMIN FEES** We are pleased to present this two bedroom apartment, located 5 minutes from Moseley village. Benefits from off street parking and transport links to Birmingham City Centre. 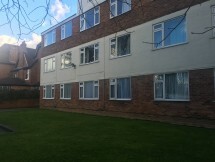 **STUDENT ACCOMMODATION** £92.00 per student, per week, 48 week Tenancy We are pleased to present this highly sought after 5 bedroom student flat within close proximity to the University of Birmingham and in the heart of Selly Oak. Off street parking available. This flat is well maintained and really is a must see. 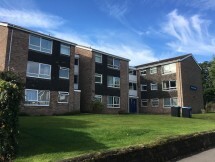 **NO ADMIN FEES** Located on the second floor of this purpose built apartment block, we are pleased to offer this two bedroom apartment comprising of two bedrooms, open plan living room and kitchen and family bathroom. The apartment also benefits from off street parking and double glazed throughout. **NO ADMIN FEES** We are pleased to offer this two bedroom apartment located on the second floor of this purpose built apartment block in Newhall. **NO ADMIN FEES**A well presented and proportioned 2 bedroomed, ground floor flat, on the outskirts of Solihull Town Centre. Must be seen to be appreciated. **NO ADMIN FEES** We are delighted to offer this two bed flat in a purpose built modern block. Located in the desirable area of Burton on Trent this apartment is offered with off street parking, gas central heating, fitted kitchen and double glazing. Must be seen to be appreciated. **NO ADMIN FEES** We are delighted to offer this two bed, 2nd floor flat in a purpose built modern block. Located in the desirable area of Burton on Trent this apartment is offered with off street parking, gas central heating, fitted kitchen and double glazing. Must be seen to be appreciated. **NO ADMIN FEES** We are pleased to present this large one bedroom flat in a purpose built block, located within close proximity to Birmingham city centre. **NO ADMIN FEES**A well presented and proportioned flat on the outskirts of Solihull Town Centre. A delightful and charming one bedroom flat with off street parking, electric heating, fitted kitchen and double glazing. Must be seen to be appreciated. **NO ADMIN FEES** We are delighted to present this two bedroom, 2nd floor apartment with its own private balcony, located in the Town Centre of Swadlincote. Viewing strongly recommended.